Quilting Adventures: Life's trials and tribulations .....! Life's trials and tribulations .....! I am here. Pre-occupied with good things and not so good things. I would appreciate your good thoughts, healing energy and/or prayers for my sister in law Lisa. In the mean time, the Row by Row shop hop is taking place in New York and Pennsylvania State. Hopping across State is a great way to get to know the quilt shops around your area. 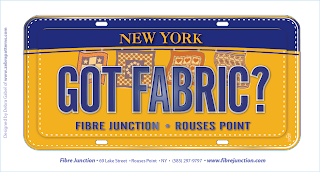 For more detail on participating shops in New York State, click here, for Pennsylvania State click here. 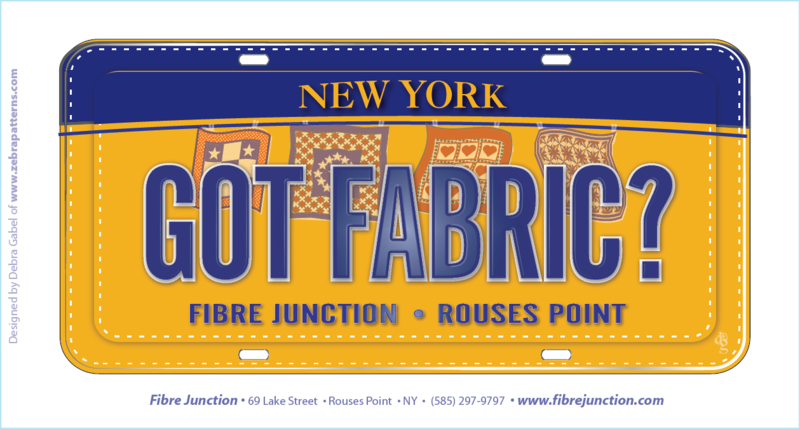 The fabric plates have arrived at Fibre Junction. Want a peak? I love how they turned out. Great accent piece on a bag or even a small wall hanging/quilt. The fabric plate itself measures 3.5" x 7.25". They are priced at $6.00 each (shipping included - total will be adjusted). Orders may be placed here. In the mean time, let's all take a moment to enjoy life. Our time here on this good earth is so short, why waste it on the small stuff! I am sending kindness and warm energy and thoughts to you and your SIL. My thoughts and prayers will be with lisa. I will be hopping into NH this weekend, spending the week with my sister and others at squam. Thoughts are with you and your family Carole. I am sending my best thoughts to your family dear Carole.